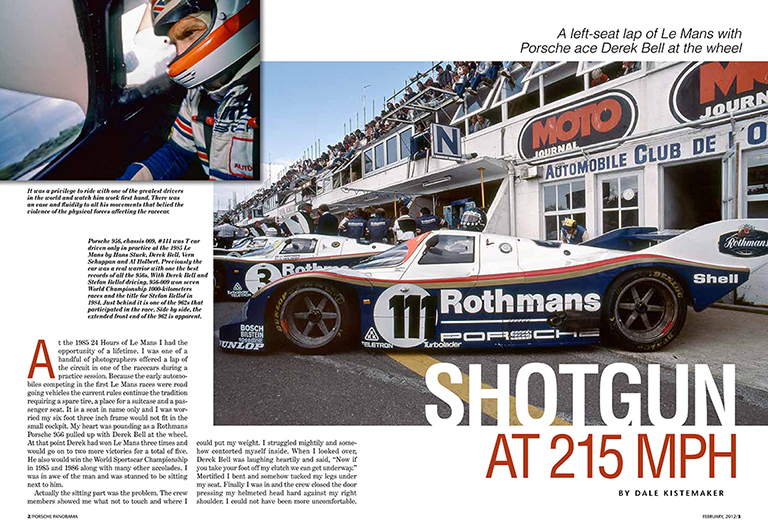 These are the first two pages from “Shotgun at 215 MPH.” This article appears in the February 2012 issue of Porsche Panorama (the monthly publication of the Porsche Club of America). I combined/edited several of my 215 MPH blogs about my ride with Derek Bell in the Porsche 956 at the 1985 24 hours of Le Mans. I’m excited to see my motorsports work in print again. My sincere thanks go to the editor-in-chief Betty Jo Turner.